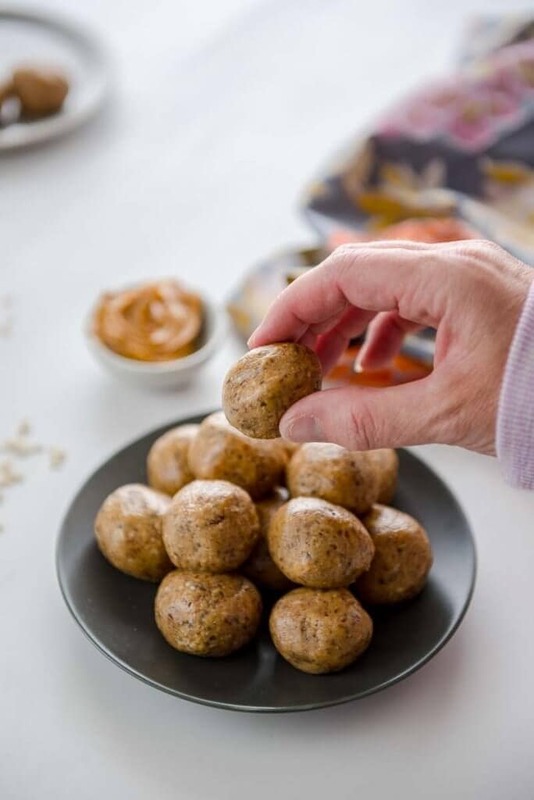 No bake Peanut Butter Protein balls are the perfect on-the-go snack! With only 5 ingredients they are quick and easy to make and they’ll become a family favorite! I love a quick and easy snack that is full of wholesome ingredients. What I love even more? When my kids love it, too! Protein balls are a favorite snack at our house. You may have also heard of energy balls. Protein balls and energy balls are essentially the same thing. 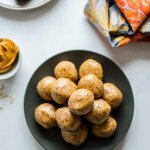 How do you make peanut butter protein balls? I make them a few ways but I think I finally perfected my recipe! I don’t love oats, but if they are ground up I don’t mind them… which is exactly what I did for this recipe. 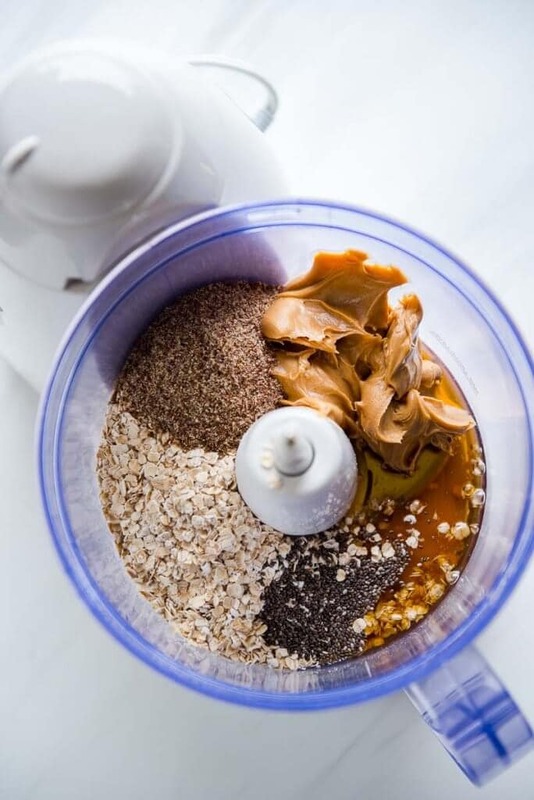 I combined all the ingredients and put them in a food processor until it became a thick mixture of peanut buttery goodness! The trick is to scrape the sides with a spatula as you mix it up so it will all combine well. 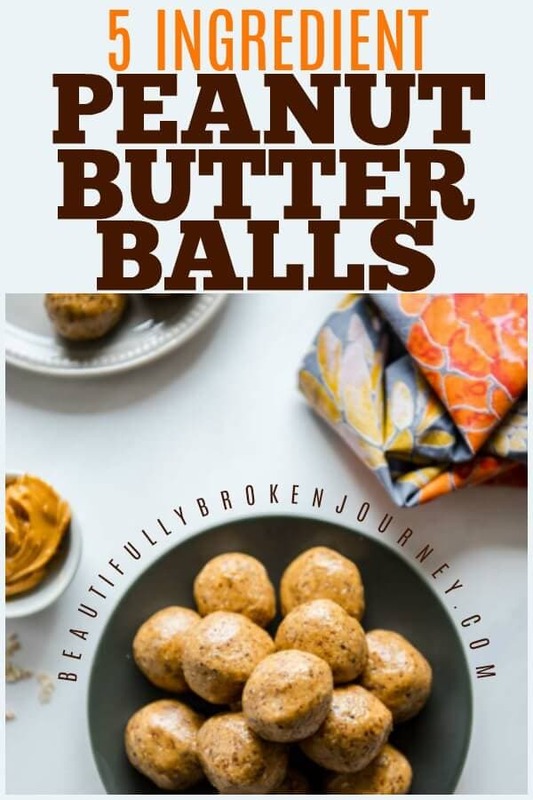 Also, when you make it this way they don’t have to refrigerate before forming the balls which is my favorite part because I can have these made up in less than 20 minutes! Can you freeze energy balls? Sure! In fact, if they become too much of a temptation freezing them is a great way to eat them in moderation. Freezing them is also a great way to meal prep snacks ahead of time. This recipe can be doubled or tripled if you want to make more than 18. Why do I love protein balls? They are a balanced snack containing protein, carbs and fat which means one or two is sufficient to satisfy my hunger. Pin this recipe on Pinterest here! 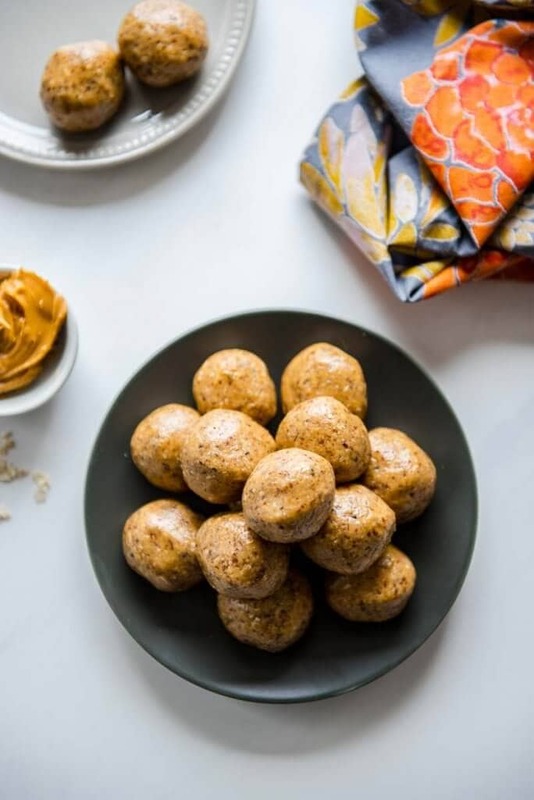 These no bake Peanut Butter Protein balls are the perfect on-the-go snack! With only 5 ingredients they are quick and easy to make and they'll become a family favorite! 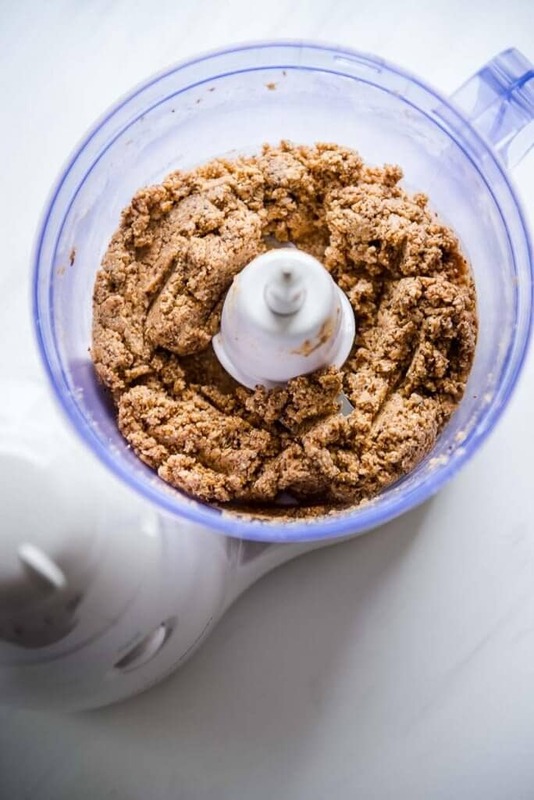 Place all ingredients in a food processor and combine until mixed. You may need to scrape the sides of the bowl to ensure everything gets mixed together well. Using a tablespoon, divide into approximately 18 servings and refrigerate. Store protein balls in an airtight container in the refrigerator. « What is Intuitive Eating? Love your recipes! My fave is the breakfast casserole. Obviously the flax seed and chia seeds are protein but if i cant find the chia does it really taste different? Are these two ingredients flavorful or just change the consistency while adding more protein? So glad you enjoy my recipes! I’m so glad you both enjoyed them!